The songs have been playing for weeks. When Christmas finally rolls around, the festivities finally come to a close. Presents are opened, lights come down and trees are stripped of their decorations and tossed to the curb. In the retail world, however, it’s not quite the same story. While the holiday shopping season is built around Christmas, it’s far from over when Dec. 25 rolls around. In fact, the day after Christmas marks one of the biggest shopping days of the year as shoppers flock to score sweet after Christmas sales. If you’re planning on hitting the stores this year, here’s what you need to know to ensure you snag the best bargains. Just how early is early enough to head to stores? While the majority of retailers kick off their post-holiday sales on Dec. 26, some have pushed back their hours to open as early as 5 a.m., as Walmart did last year. You’ll also find sales as soon as Christmas Day – or even earlier — although so far it’s only been online retailers, such as Amazon, Kohls.com and Target.com, kicking off the sales this soon. If you don’t get an opportunity to shop on Dec. 26, don’t worry. While the selection will grow more limited each day, after Christmas sales generally continue through the end of the week. Nordstrom, for example, extended its promotion through Dec. 27, while Best Buy’s after Christmas sale lasted until Dec. 28. A winning strategy for securing the best bargains is knowing which products will feature the best markdowns. Although you may come across some retailers that offer storewide discounts, the majority of discounts will be concentrated on specific areas. Whether you’re looking for a new sweater or a quality pair of pants, Dec. 26 is prime time for clothes shopping, with apparel consistently ranking among the top items featured in these sales. In fact, nearly half the discounts DealNews posted during last year’s sales were clothing-related. Department stores and standalone apparel retailers are both known to feature major markdowns on men’s, women’s and children’s fashion. Although a few items, like winter coats and suits, are traditionally cheaper in January, there are few do’s and don’ts when it comes to clothing shopping in late December. You’ll find great deals on everything from lingerie to men’s jeans and kids’ shirts. One of the least surprising bargains of after Christmas sales is holiday merchandise. Food, drinks, decorations and more will all be marked down if they scream “Christmas.” Look for candy, decorations, alcohol and even napkins. The items receiving the most significant markdowns will be those emblazoned with Christmas trees, Santa, reindeer and colored red and green. Besides Christmas-themed items, you’ll find discounts on products related to other winter holidays, such as Hanukkah and the solstice. After all the sales we saw in November and December on PlayStations, Kindle e-readers and Blu-ray players, it’s no surprise that media ranks high on many shoppers’ lists after Christmas. In response to this demand, retailers frequently drop prices on video games, movies and music during end-of-the-year sales. Similarly, you’ll find deals not on electronics but related accessories – think wristbands for fitness trackers, cases for the latest iPhone and Android devices and covers for e-readers. Finally, after Christmas sales will also feature fitness gear, although you can expect even bigger sales in January. As with most sales, department stores feature prominently among the best places to go on Dec. 26 and the following days. In particular, you’ll find significant savings at JCPenney, Kohl’s, Macy’s, Target and Walmart. But you shouldn’t necessarily ditch the mall in favor of big-box stores. 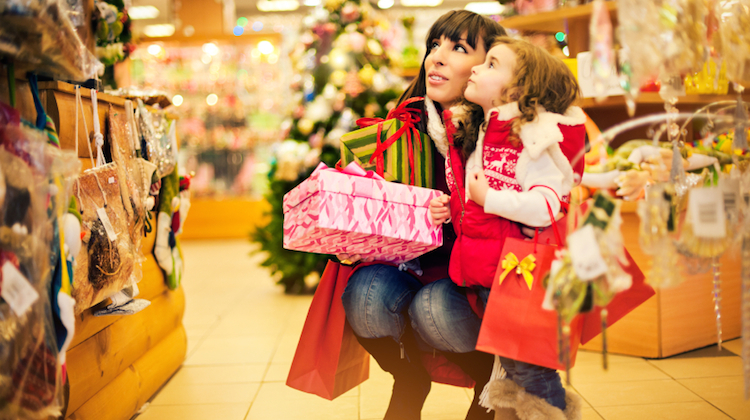 Smaller apparel chains usually advertise their biggest sales of the year right after Christmas. Last year, Abercrombie & Fitch, Express and Hollister offered 50% off on everything in their stores. Customers at Aeropostale could find up to 70% off, while Old Navy had discounts up to 75%. Banana Republic, Gap, 6pm and New York & Co all featured some of their best deals of the year. If you’re looking to save on luxury items, you’re in luck. High-end department stores and luxury brands, such as Bloomingdale’s, Betsey Johnson, Brooks Brothers, Calvin Klein, Saks Fifth Avenue and Tory Burch, all tend to offer some of these best discounts after Christmas. Department stores and clothing retailers aren’t the only places to expect great deals. Bath & Body Works features its semi-annual sale right after Christmas, and last year the store offered up to 75% off on everything. In the beauty department, Sephora also featured it best deal of the year on Dec. 26 last year. Other stores to keep an eye on include Gander Mountain and Barnes & Noble. Last year, the sports and outdoors retailer offered up to 75% off in its blowout sale. Barnes & Noble marked down bestselling Nook books by 50% and offered 40% off on Nook HD covers. And finally, despite the dominance of brick-and-mortar retailers, don’t forget about shopping online. Amazon has led the pack in recent years, kicking off its post-Christmas sale so early that it actually began before Christmas last year. Get the Best Weekly Deals and Beyond!